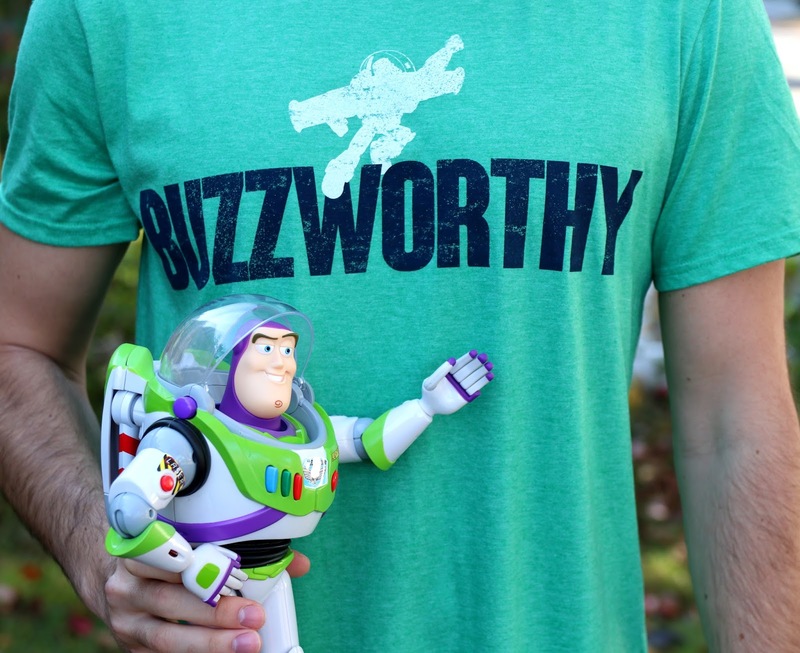 Hey Toy Story fans, check out this brand new Buzz Lightyear inspired "Buzzworthy" men's statement tee that I just picked up from the Disney Store! When I saw this come in stock a couple days ago, I couldn't resist it. From the play on words, to the minimal design, to the uniquely sweet mint green color...I just really dig it! This is one of the softer Disney Store brand t-shirts that I own. They seem to be improving in that area, since most of them use to be a thicker (and stiffer) material. The fabric here is lightweight and super cozy! My only issue is that it's not fitted (like an athletic fit) and is a little "boxier" than I like. With that said though, it's not too bad. Maybe once I wash and dry it, it'll tighten up a tad. You can find this shirt right now at the Disney Store or ShopDisney.com HERE, so pick it up if you're feeling it for your Disney/Pixar tee collection! Retail is $24.95. What do you think? 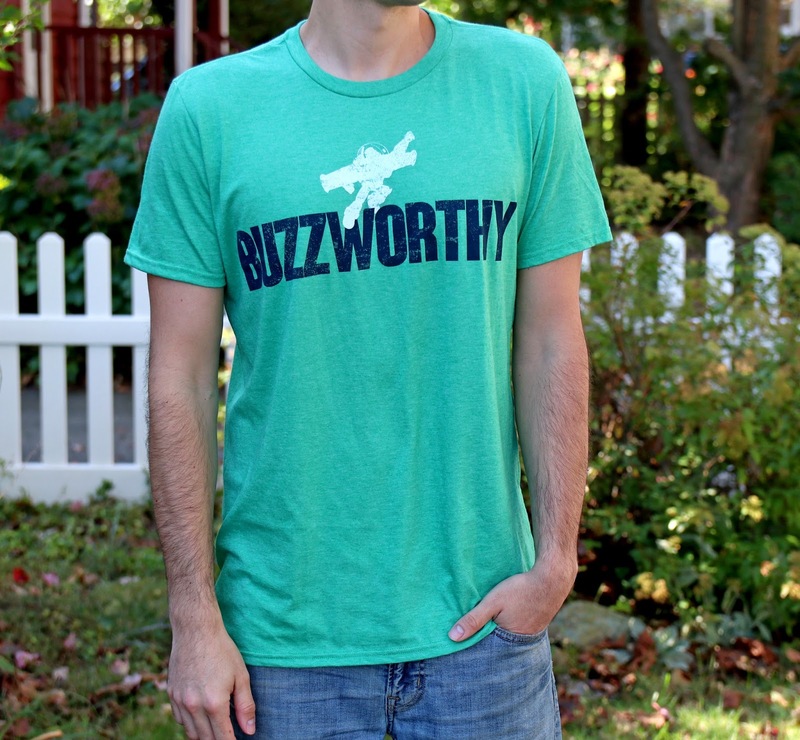 Is this shirt buzzworthy? Let me know in the comment section below!